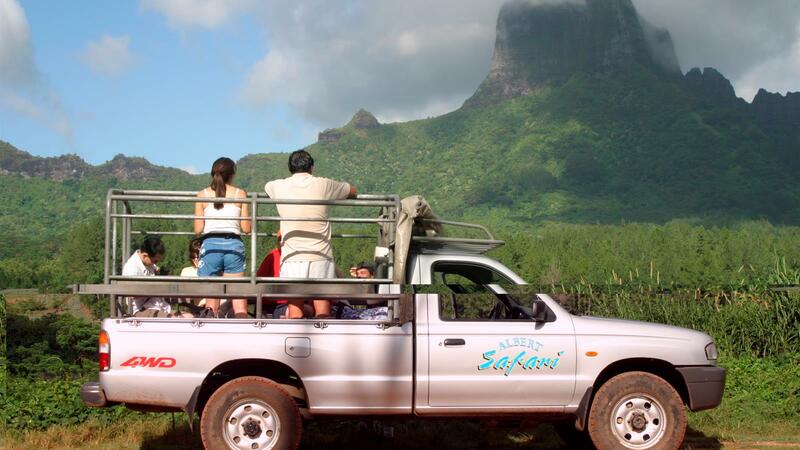 Discover the beautiful volcanic island, its tropical flora and aquatic fauna on a 4x4 tour. 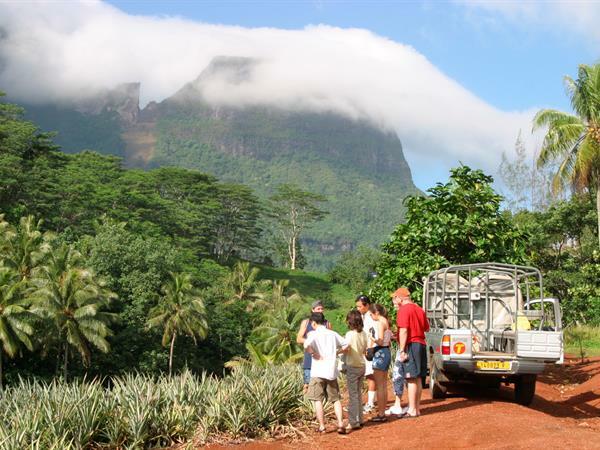 Your guide takes you to the pineapple fields, bamboo groves and orange, grapefruit, papaya and vanilla plantations. Enjoy the breath-taking view from the Belvedere high lookout point and pay a visit to the archaeological sites and temples of pre-contact Polynesia. Stories and legends of ancient "Eimeo" (one of Moorea's original names) will be narrated to you on the way. Ascend "Magic Mountain" - an optional hike travels the last 300 feet (91 meters) to the summit for a stunning view of Moorea's north shore. Our stop at the fruit juice plant and distillery is the opportunity to sample our local liqueurs and fruit juices. Also a short stop at one of the local pearl stores is included. Don't forget your camera! Insect repellent is recommended.